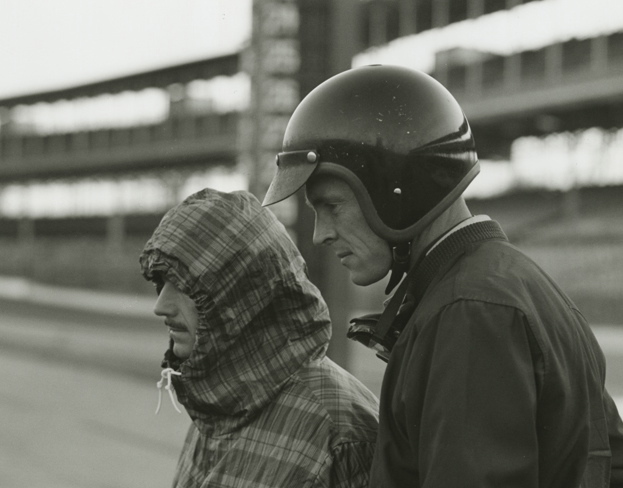 It was the 1960s…but the schedules – and the demands – were no less than today’s. 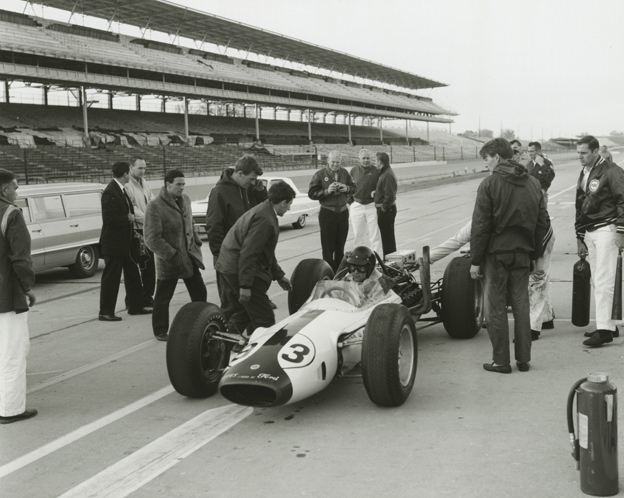 Immediately after winning the Mexican Grand Prix, Jim Clark, Dan Gurney and Colin Chapman flew to Indianapolis via Chicago. From the warmth of the Gulf to the chill of the mid-west. 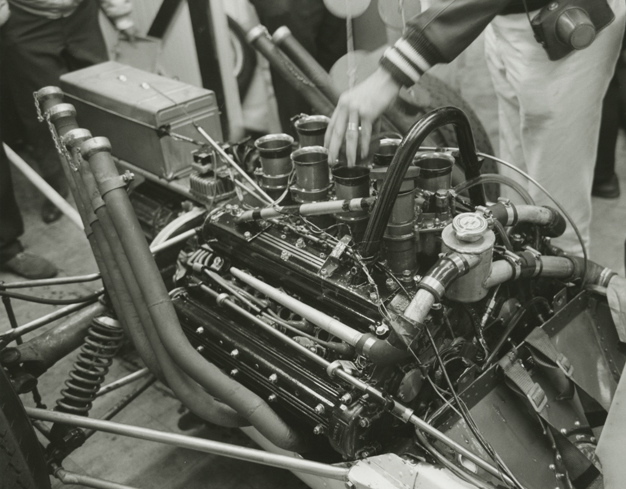 From a 1.5 litre Coventry Climax-engined Lotus 25 (or, in Dan’s case, Brabham BT7) to the new four-cam Indy Lotus 29-Ford. To an empty, echo-ey Indianapolis Motor Speedway, where the bitter winter winds were already whistling around corners in Gasoline Alley. 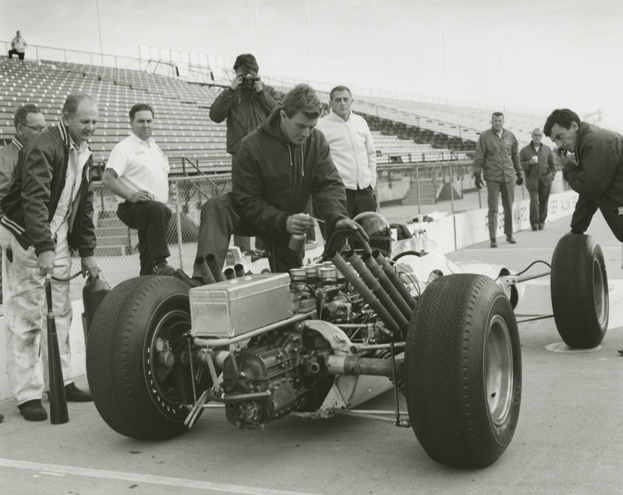 To a full-on engine and tyre test in company with the Ford top brass and engineers from Goodyear, Firestone and Dunlop. 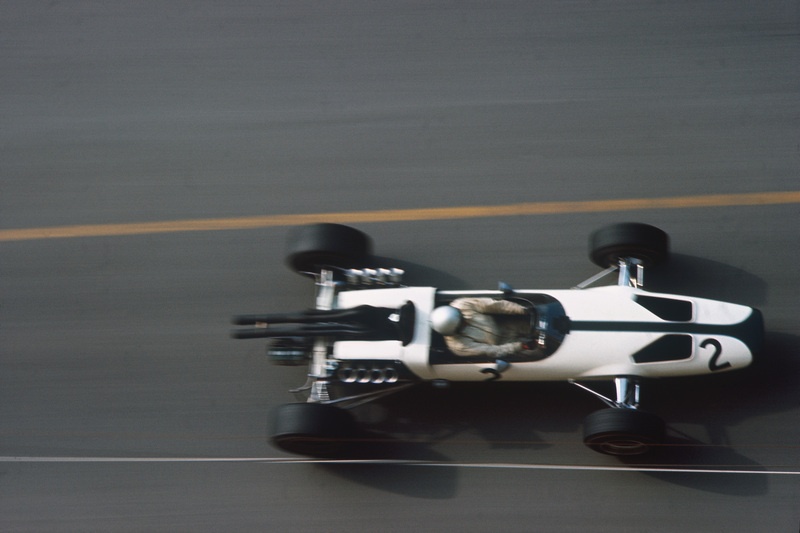 Impressive, though, was the huge “black box” the Ford engineers fitted to the back of the car for this November test. 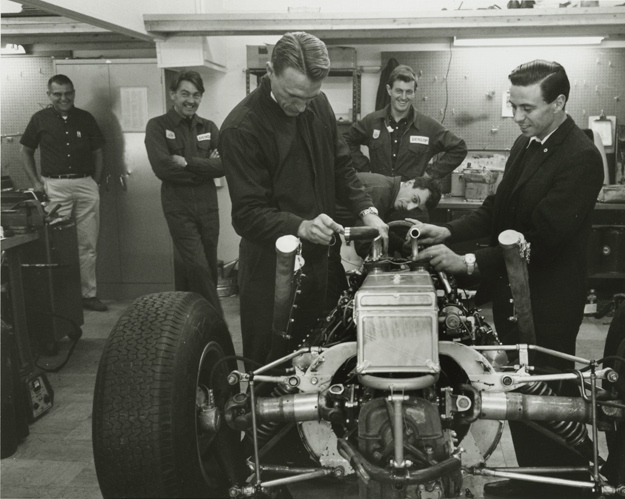 This was amongst the first attempts, if not the first attempt (I think Jim Hall and GM were also onto this with the Chaparral programme, as were Ford with the GT development) to monitor engine and suspension sensors in real time. It was by no means an elegant appendage – but it was a start – a glimpse of the sort of technology that was not only appearing in Detroit but also at NASA in the early 1960s. 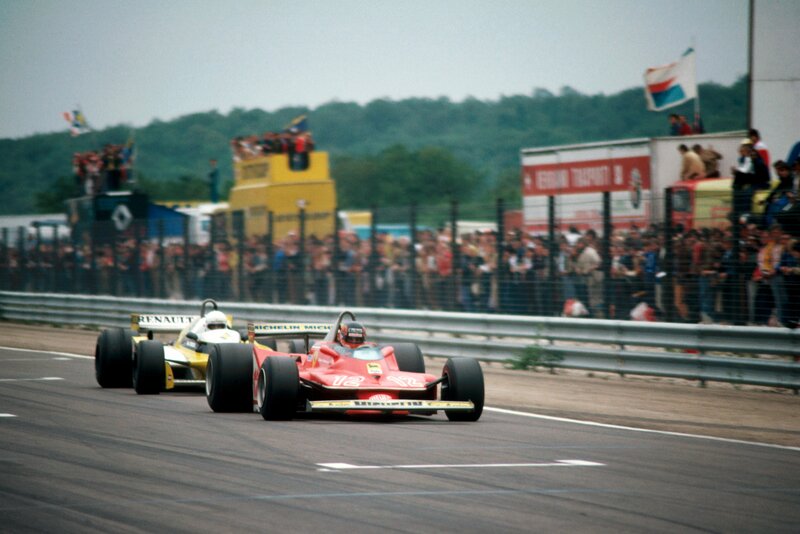 The contrasts are vast: Jim at this point was enjoying solid reliability with the nimble Lotus 25 F1 car. 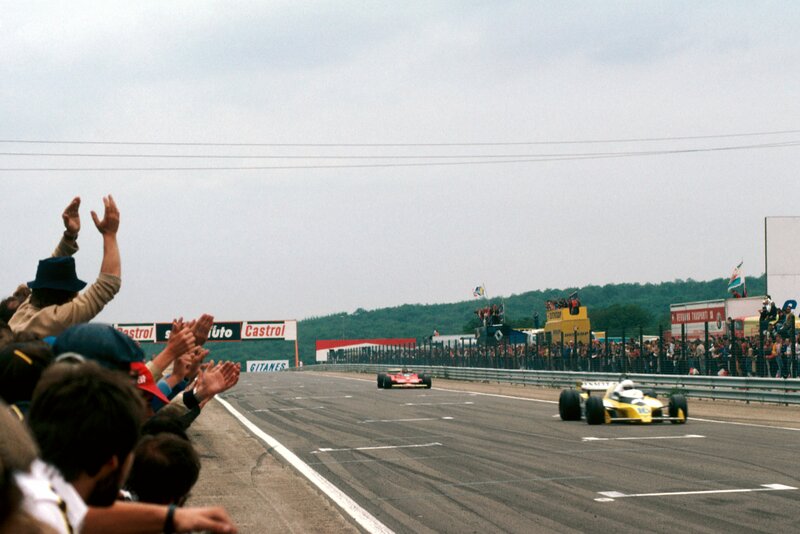 He had just won his sixth F1 Championship race of the season, with one round still to go (South Africa). 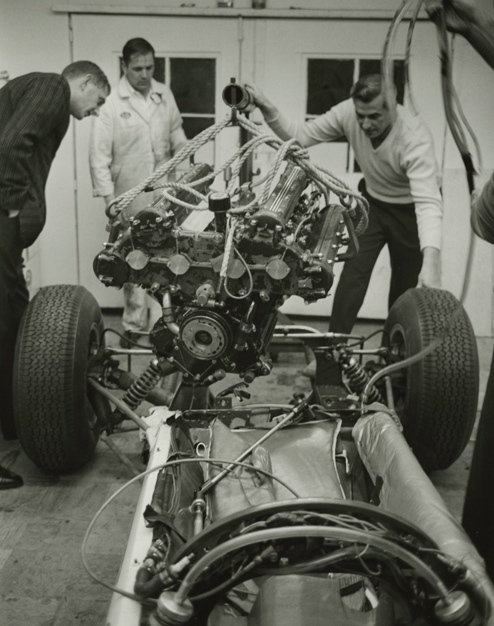 He was due back in the UK immediately after this test to receive a number of accolades, including the Ferodo Trophy, the BRDC Gold Star and the Ecurie Ecosse Driver of the Year Award. 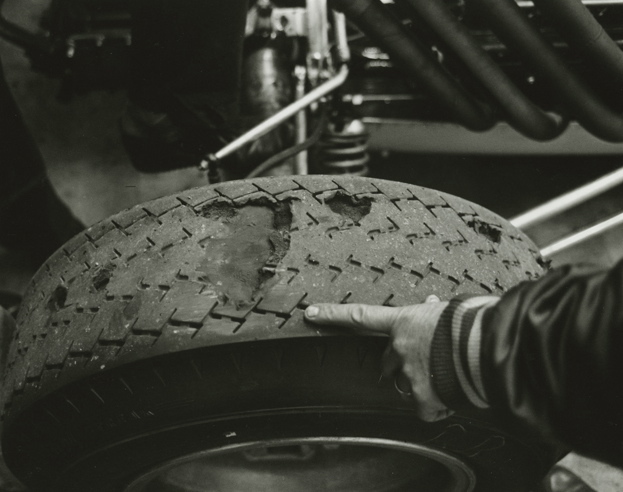 Yet here he was at Indy in what can only be described as dangerous surroundings: tyre testing always carried its own risks, particularly in those days, particularly on high-speed ovals. And this was a loaded-up development 29, with lots of new brackets and bolts. 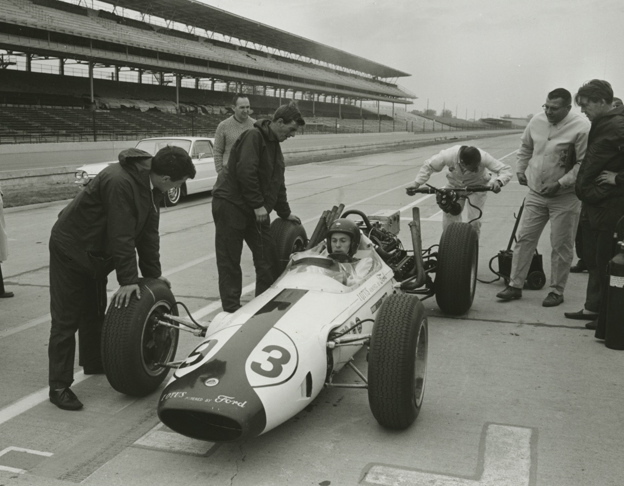 Unsurprisingly, I think, Jim in the weeks that followed this test would decide to hand much of the four-cam Lotus 29 development work over to Bobby Marshman. He’d got to know Bobby at that Springfield Sprint Car race before Milwaukee. He liked him; and Bobby was quick. There was no doubt about that. Jim also decided not to compete in the new Tasman Series over the European winter. It had been a long and hard year. It had produced brilliant results. 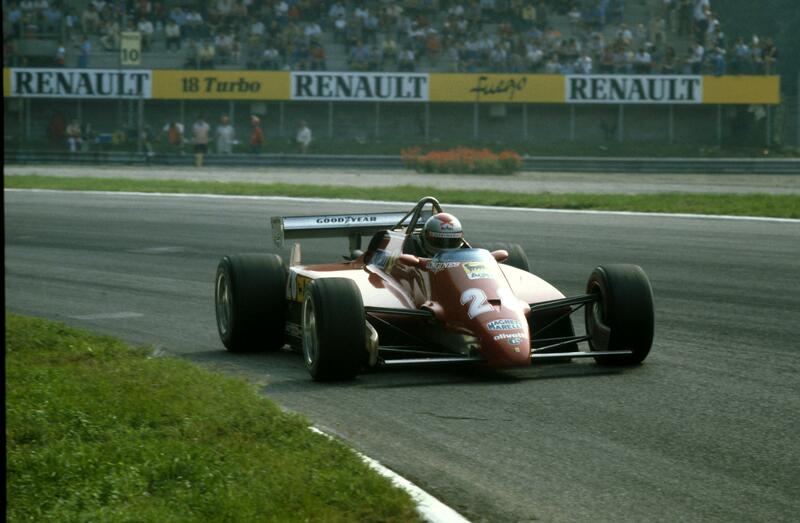 And, following the South African GP, he already had some new Ford commitments in the pipeline. 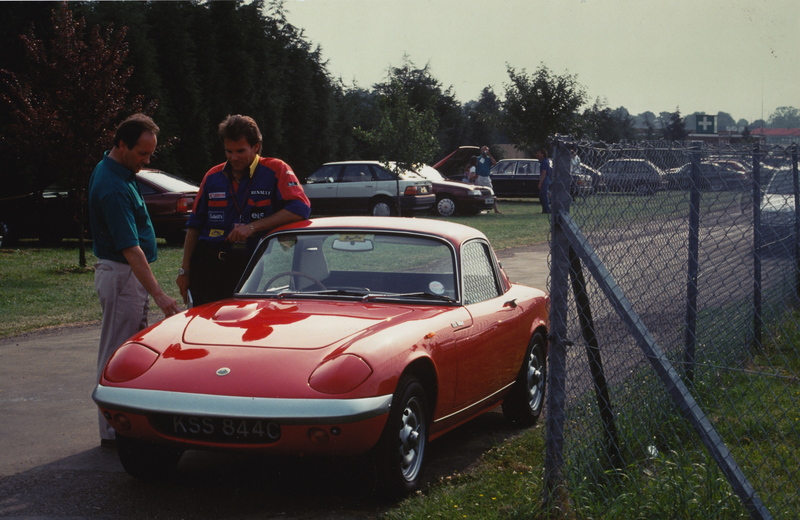 A Tasman programme, on the back of the Indy developments, would have put too much strain on the team at Cheshunt. Thanks P for what what has been a DOUBLE value motor sporting season with TWO World Championships !